This weekend we had a fantastic opportunity to take part in MineFaire- an offshoot of Minecraft. Thanks so much to Steve Isaacs for the opportunity! We were incredibly impressed with the children we met who played Biome Builder and Scuba Adventures with us. Some of the friends we made were experiencing virtual reality for the first time and others seemed like pros! As a reminder, if you’re interested in trying out our Virtual Reality at your school in the tri-state area, we are happy to bring it to you! A young man's first VR experience! We were thrilled to meet educators from a dozen schools and to meet other game developers, like Brian and GJ from The Sheep's Meow in our space. The speakers we heard from the stage and the competitive Minecraft building were both incredibly impressive. 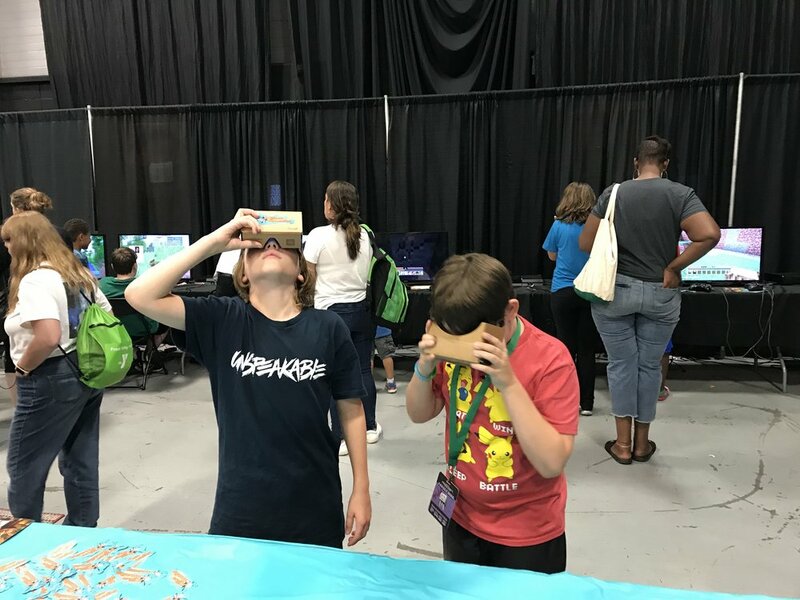 We hope to see many of you this coming weekend at Play NYC where we will be showing both Biome Builder and Scuba Adventures again. Please stop by booth 14 on the Main Floor and say hello!